In Part 1 of this series, we talked about how Wellington should lift our vision for public transport away from relatively poor performing cities in the Anglo-world (cough, Auckland) towards those whose transport offers their citizens a decent quality of life. We’ve been under-investing in public transport vs car service for decades (see Part 1 of this series), and even while Auckland starts to eat our lunch and people like Helena give up trying to use PT for good city life, we maintain our myth of “we’re the best public transport city in NZ” and tell ourselves quite a lot of excuses for our mediocre public transport. 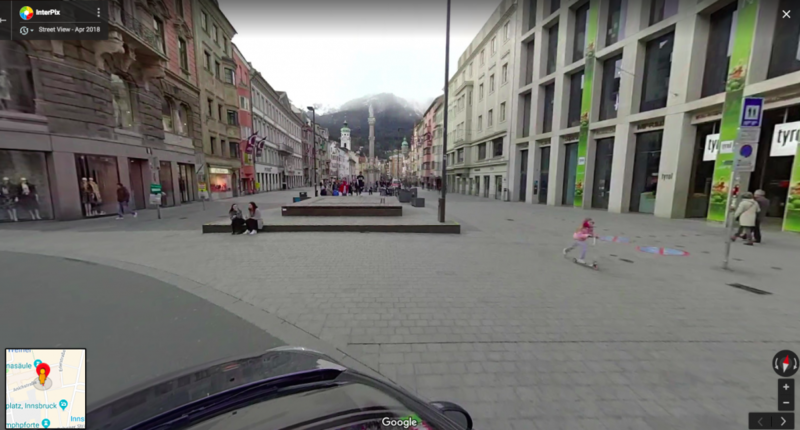 One interesting example we’ve come across is Innsbruck, in Austria. The city population is only 150,000, however the public transport system carries 47.5 million person-trips per annum. Keep in mind in Wellington, with our region home to over 400,000 people, the entire Wellington public transport system (bus, rail, and ferry), carries 37 million person-trips per annum! 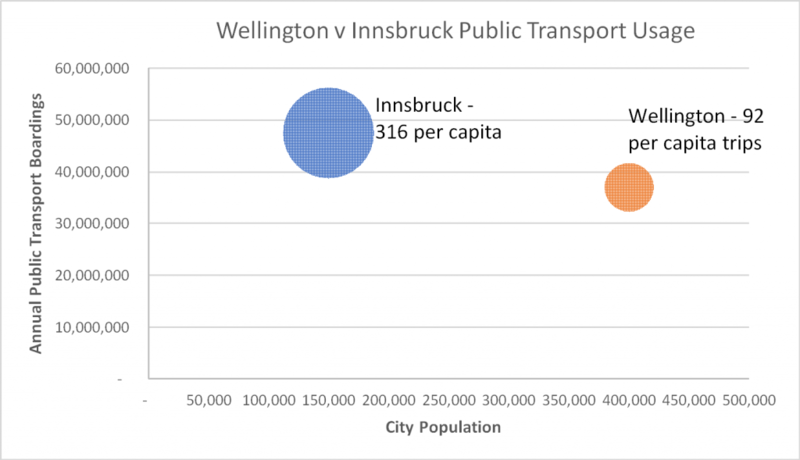 This means Innsbruck has three times the public transport usage of Wellington on a per capita basis. Is public transport enjoying a massive public subsidy (i.e. bigger than the subsidies typically given to cars)? Does the city’s medieval origins mean they only have tiny undriveable streets ? No. To all of that. Innsbruck is a pretty normal, small Austrian city; they’re just doing something right. Damn, that’s a nice tram! Firstly, they have a modern 20 kilometre Light Rail network operating as the backbone of the extensive public transport system. 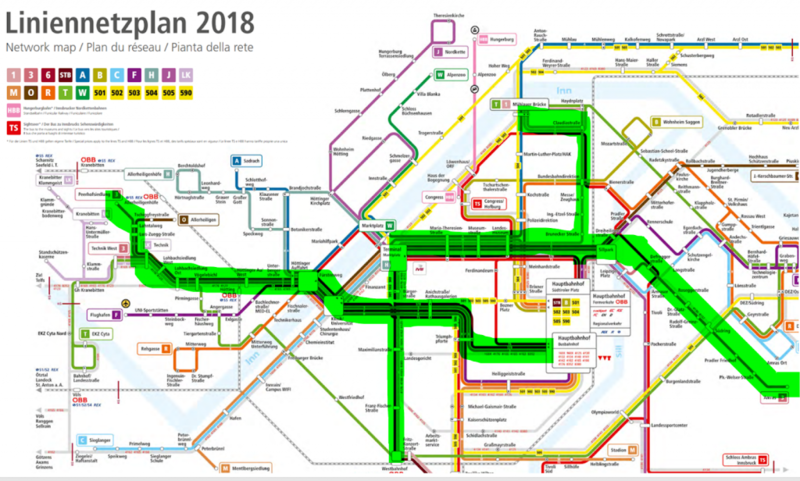 Note the Light Rail lines are 1, 3 and 6 (highlighted in green), with the rest being buses. Secondly, both the frequency and span (hours of operation) are impressive. Services operate at least every 15 minutes from before 6am until 11pm, 7 days per week. Frequency is every 10 minutes from 6am to 8pm Monday to Saturday. The only downside is a service finishing at 11pm, which is earlier than ideal for Wellington’s lively nighttime culture, though better than some routes here now. This level of frequency is not confined to the Light Rail system. There are eight bus routes that operate at least every 15 minutes all day, with one of these operating every five minutes all day (every five minutes! ), and a further three operating every 10 minutes all day. These frequent services also run at least every 30 minutes from 8pm until 11pm. These frequent services give residents and visitors a high level of accessibility across the city. 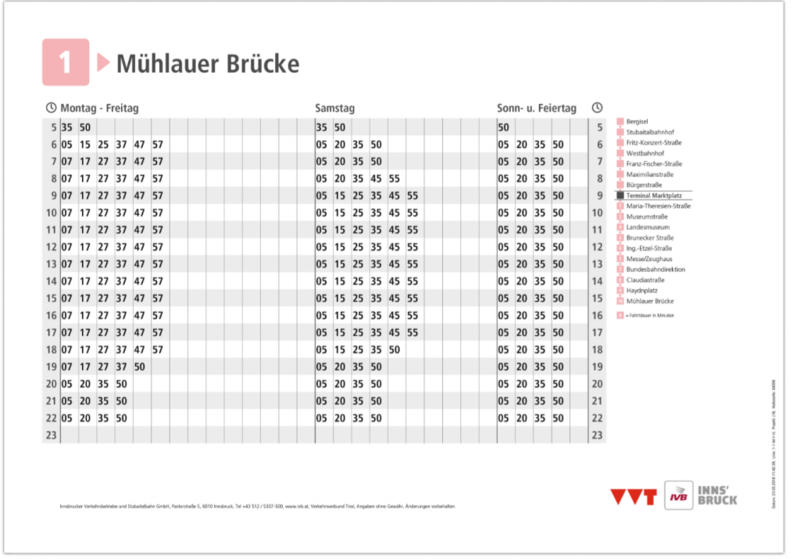 No need to worry about timetables, long waits in our windy weather, or in the dark. These “turn up and go” timetables are key: they ensure people trust that public transport will always be there for them, and will give citizens the confidence they need to use public transport for all kinds of trips across the city. This level of public transport helps support the life of the city. – But hold on, people drive cars, people take trains and buses – doesn’t all transport “support life”? No. When you massively overdo a very inefficient mode of transport, it starts undermining the life of the city. But we’ve had so many decades of the car-dominance of transport in Wellington it’s hard to imagine anything else. 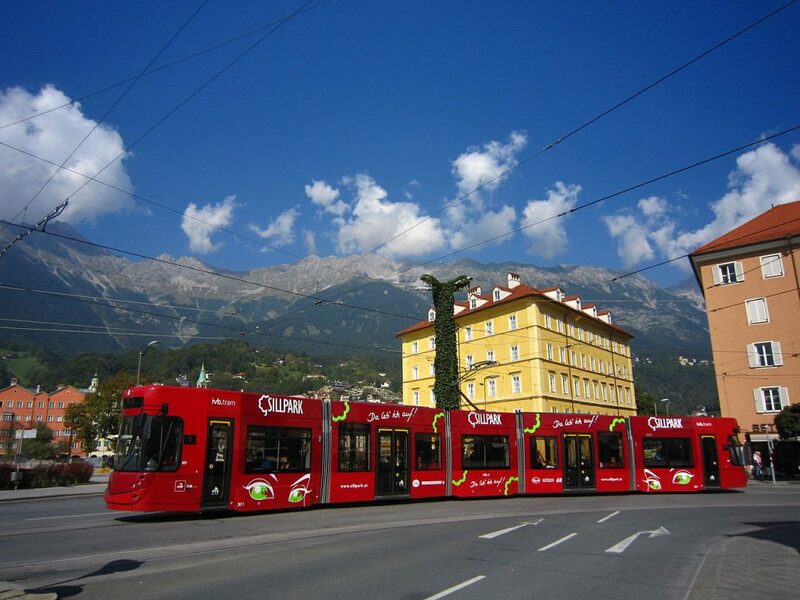 So what does this mean, “public transport helps support the life of the city” in Innsbruck? A key way it does this is by freeing up large amounts of space (otherwise occupied by cars) for the pleasures of city life. 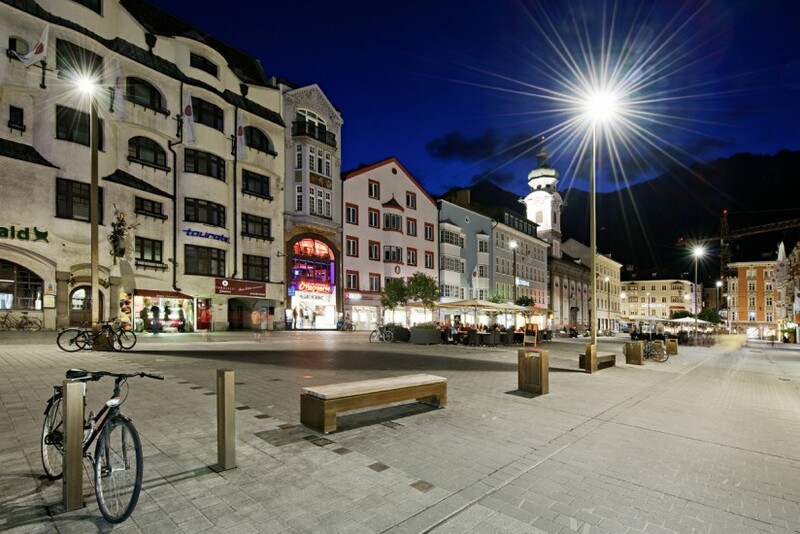 Innsbruck, like many European cities, has a bustling inner city pedestrian zone, including a town square and surrounding streets. Give people good space and even when it’s bitterly cold (check out the snow!) they’ll scoot, sit, wander, shop freely… this is the point of cities. The zone was expanded and rebuilt when the Light Rail was reconstructed to modern standards around 10 years ago. A car-free area – Maria Theresien-Straße – was freshened up. In Innsbruck you’ll see light rail lines running through the streets, buses, loads of people on foot (despite it being bitterly cold, check out the snow above) and very few cars. Not none, but those you see are there as “guests” – exceptions to the rule, with special permits – and cars yield to people. And of course to public transport. And they do this with a population that’s considerably smaller than Wellington and a climate that’s much grimmer than ours (spring is brief, they’re known for winter sports). So what should we learn from this, Wellington? A fast, highly frequent rapid transit backbone is key to this to happen. This high quality public transport network supports – indeed, enables – a great network of high quality public spaces in the city centre. Next up: We’ll take a look at what our capital city cousin across the ditch has been doing. The actual urban area is well served by a combination of tram and bus services but, with population densities of 2,600 people/Km2 – 8,600 people/Km2, this is much more sustainable than of less than 1,000 people/Km2. Yes Innsbruck is like Wellington in being a mountainous city but a city where most live in detached houses has little to learn from a city where most live in multi-story apartments. This includes the potential benefits of building light rail. 1. have you seen the growth projections for Wellington? https://forecast.idnz.co.nz/wellington/home ANd the densification planning? And even LGWM said that within the [v short] horizon there will be population density in /around Newtown to make mass transit worthwhile. Thanks – and Wellington is even more suited to light rail given the confined spine route through the CBD to the south and east. With realibility, high frequency and very confortable services, then everybody would be ok with transfers from feeder routes from hill top suburbs.